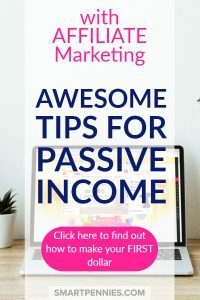 The Ultimate Guide to making Passive income with affiliate marketing using your blog. If you like some Awesome tips for making Passive Income with Affiliate marketing then you have come to the right place! If you haven’t a clue what I am talking about then read on to discover how you can make income from your blog. 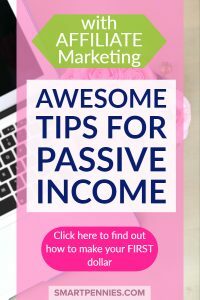 Passive Income is a way to make money while you sleep? What on earth am I talking about well? Passive income is recurring income you can earn by doing the work up front. 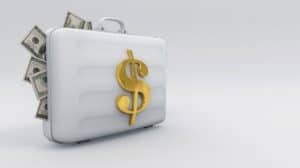 There are various options for making recurring income and if you want to check them out this post here will help. 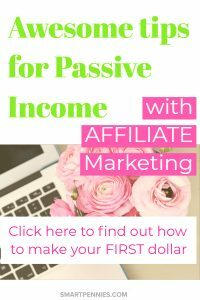 How do I generate Passive Income with Affiliate Marketing? 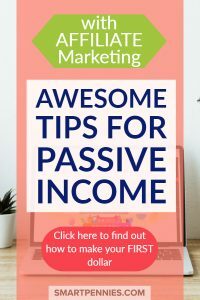 Passive income can be recurring income and sometimes it’s one-off income. The most common way to earn money with Affiliate Marketing is to do so via your own blog. If you haven’t already started your blog then to get started check out my Email series on Starting a blog here. It’s a full guide to help you get started with your blog today. Once you have your blog set up you need to write posts that include Affiliate links still with me? 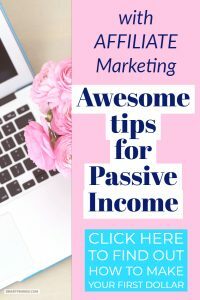 How can a Beginner make Passive Income? So a warning for you it’s NOT a quick way to earn money once its set up you can earn money with your links as long as people are clicking on them and they are converting to sales. Most important is you must disclose you are using affiliate links I usually place this disclosure a couple of sentences down from the post title making sure that I do not add any links above this disclosure see this post. They are easier to join for beginners and allow you access to lots of different companies- for instance Awin is great for Etsy. Basically, you are promoting other people’s products rather than your own products and are great to get started. For each product, you promote you will be given your own unique affiliate link to allow you to insert this into your post. You can use Plugin’s to make your links look pretty and one of them is Pretty links the Free version it doesn’t cloak your link as such it shortens your link by changing the link address when you add the link to the URL address bar you can see that the affiliate link will appear before the page loads. If you want to find out what the Best Books for Affiliate Marketing are, then check the best 5-star reviews on Amazon right here. Buying tip: Watch the page above for deals if The 1-Page Marketing Plan for less than $12 it’s a GREAT DEAL. Here are two of the best Affiliate Marketing courses around they have helped me earn my first $100 and will help you too! If you want to grab Affiliate Marketing for Bloggers as part of a great Blogging bundle Genius Bloggers Toolkit 2018 Flash Sale sign up for my Guide to Free Courses below and you will get email updates and more indepth information on this course nearer the time. 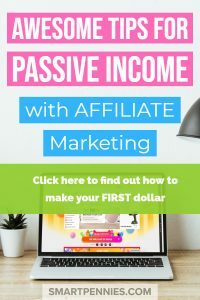 What are some Examples of Passive Income using Affiliate Marketing? 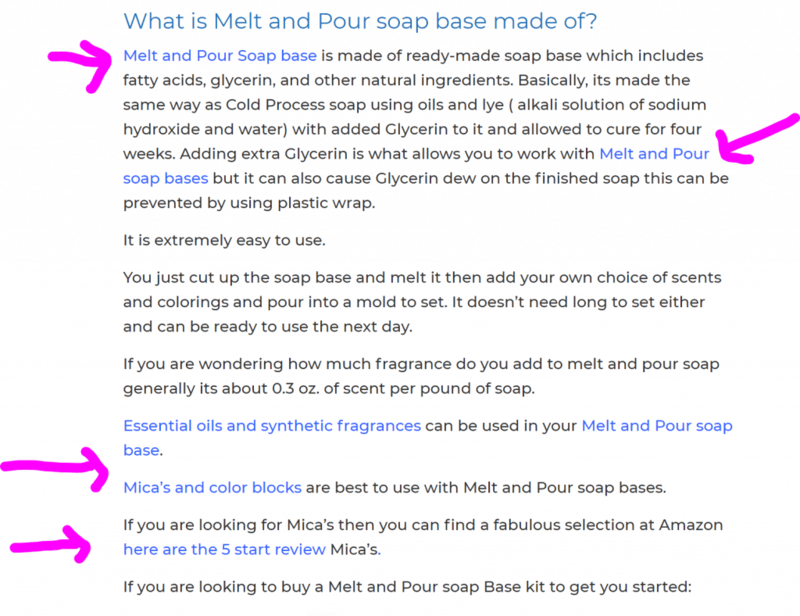 If you look at this post for Soap making you will see some of my affiliate links check out the arrows they have already had conversions even with very little traffic! 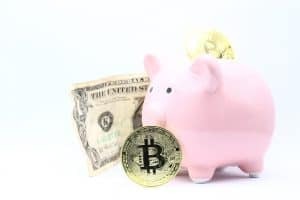 What is the difference between Passive and Non- Passive Income? Non-passive income is income you have to constantly work at. You can as I like to say make money whilst you sleep because you have to continue working at it. It’s a bit like a day job! You can add lots of different affiliate links to each from different companies so you aren’t just stuck with the same links. I thought I would mention this separately it’s a great company to add to your Affiliate marketing links. When you sign up you must make 3 qualifying sales or your account will be shut down after 180 days- the good news is you can open a new account straight away but the bad news is you will need to change all your old links! How do I know because I had to do this myself! Luckily only the once as I eventually got 3 qualifying sales on my second attempt phew! This shows you how much money can you make as an affiliate marketer. As you can see from the incomes above once you master affiliate marketing the sky really is the limit! The downside to Affiliate marketing is that it can take a while to start making conversions and you also need traffic to your website to enable those conversions in the first place. The best advice for choosing products is to choose products you are familiar with or you have used before. Some bloggers suggest only choosing a few products to promote and others suggest using a wide variety of products. I feel that a wide variety of products will help with conversions rather than just a few. When it comes to affiliate links in emails its probably more prudent to suggest a few products to your email list rather than a whole heap at once. If you can find FREEBIES that link to your chosen affiliate this is even better for conversions. Once people click on this link they will enter a sales funnel and the owner of the product will basically take over converting the sale for you. Be honest with your reviews this helps to build trust with your audience. Use your own words and highlight the benefits NOT features – its difficult to do. 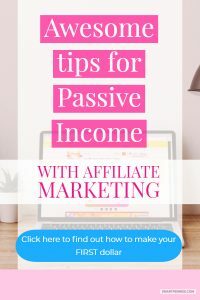 There you go a round-up of Passive Income using Affiliate marketing. Finally, note it does take time to get your links converting so don’t give up it takes time! If you enjoyed this post please share. NextDare to Conquer: should you invest in your blogging future with the course?